Editor's Note: The author is a former paramedic. The doctor who started Nova Scotia’s ambulance service isn’t surprised to hear complaints from paramedics, but he’s glad they are coming together in search of a solution. 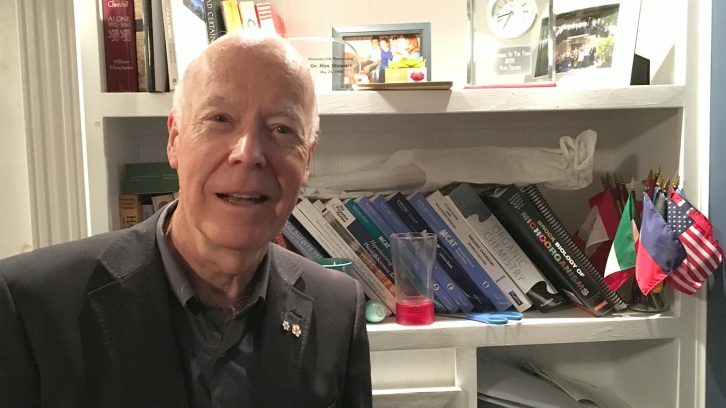 “The reason for it may not be particularly comforting to me, because it may well be a reaction against what they perceive to be a crisis,” Dr. Ron Stewart said in a conversation Tuesday with The Signal in his Halifax home. Stewart spoke ahead of Wednesday’s conference that brought together unions representing paramedics in Nova Scotia, New Brunswick and Prince Edward Island. They discussed professional challenges, like offload delays and paramedic burnout. The Nova Scotia Paramedic Union has been public about their struggles on Twitter with the hashtag #codecritical. One tweet, sent out Tuesday, said there were not enough ambulances available in the Halifax Regional Municipality or Truro. Stewart understands big problems exist in health care, but doesn’t agree they constitute a crisis. “No, I don’t, but I’m not out in the street,” he said. “If it is in crisis, and you feel that way, then the question is, what measure do you take to make it better? As part of his emergency medical residency in in the U.S., Stewart helped to organize the first emergency medical services in Los Angeles and Pittsburgh in the 1970s. He also wrote the first paramedic training manual in 1974. He was determined to bring the service home to Nova Scotia, where he became province’s minister of health in 1993. “We ran on the platform that we would institute a new advanced-care system called Emergency Health Services,” he said. In 1995 the plan was put into motion, and soon over 50 ambulance services had been amalgamated into one. EHS is still the ambulance service provider in Nova Scotia today. He said the current situation is not something that was easy to see coming. Technological advances mean more problems can be treated, so automatically there will be more patients who couldn’t have been helped before. The increasing number of patients is an issue throughout health care, as resources become stretched to serve ever more people. Things like MRI’s and CT scans, for example, didn’t exist when Stewart was in medical school. The health-care system has stressed itself because it can now detect and treat more illnesses and people, he said. This can lead to the mentioned problems, like offload delays. In fact, the province has committed closer to 40 per cent of its money to health care in the budget. “Do we have the accommodation for that effect on personnel? We haven’t solved that yet,” said Stewart. As for public stressors, Stewart thinks there is “a crisis of confidence.” He said people know they have a reliable 911 system and can count on an ambulance showing up. Stewart recently noticed an advertisement in a paramedic magazine advising people not to call 911 unless they had a real emergency, like a heart attack or a stroke. Stewart said it is not up to providers to decide what is an emergency. For example, if a violinist breaks his finger and has to perform tomorrow, that’s an emergency for him — even if health-care providers disagree. He thinks providers should aim to efficiently serve the needs perceived by citizens. EHS turned 20 last year, and Stewart marked that anniversary with a $1.3-million gift to the Dalhousie Medical Research Foundation. The money was for an annual EMS research symposium and the creation of a Chair in EMS Research Department at Dalhousie University. Stewart is eager to see a post-secondary program created to bring paramedics into Dalhousie and is confident it will happen, despite current issues. “I am really convinced that this academic pathway will be realized before I go out and get hit by the bus,” he said, laughing. For clarity, EHS is the government department that regulates the ambulance service. The company that is contracted to operate the service is Emergency Medical Care and is a private company. Words cannot describe the debt that is owed to Dr. Stewart for his vision and implementation of the service he created and what it has developed into today. I am proud to be a part of that service and have been since before EMC. Thank you Renee for your informative and kind words. I had the honor to meet Dr Stewart a number of years ago at a conference and consider him one of the finest men I have ever met. The impact he has had on paramedics in Canada and the US is immeasurable. Thank you for all you have done and continue to do Ron. From a Paramedic in Saskatchewan. Thanks for the kind reply Tim. All very good comments from a very wise man. We need to look at prehospital care as system navigators. Let them come to you can help guide you to the best care. Maybe it’s a hospital or maybe it’s an after hours clinic. Right now people don’t know their options and think they need to be in the hospital for the best care. They just need to be aware of the options to make the best decision. Thanks for the input Craig. EMS is amazing compared to what we had in the past. I remember working as a volunteer firefighter in mid 90s and the ambulances then were very poorly equipped. No meds on board most of the time and essentially they were old vans that basically transported people to hospital in the case of an emergency. EMS paramedics are way better trained now as well. Thanks for the reply Geoffrey. Thanks for your reply Carl!